You wouldn’t think so, but jazz guitar and bass duets are surprisingly rare in recorded jazz, especially considering how common they are on stage. 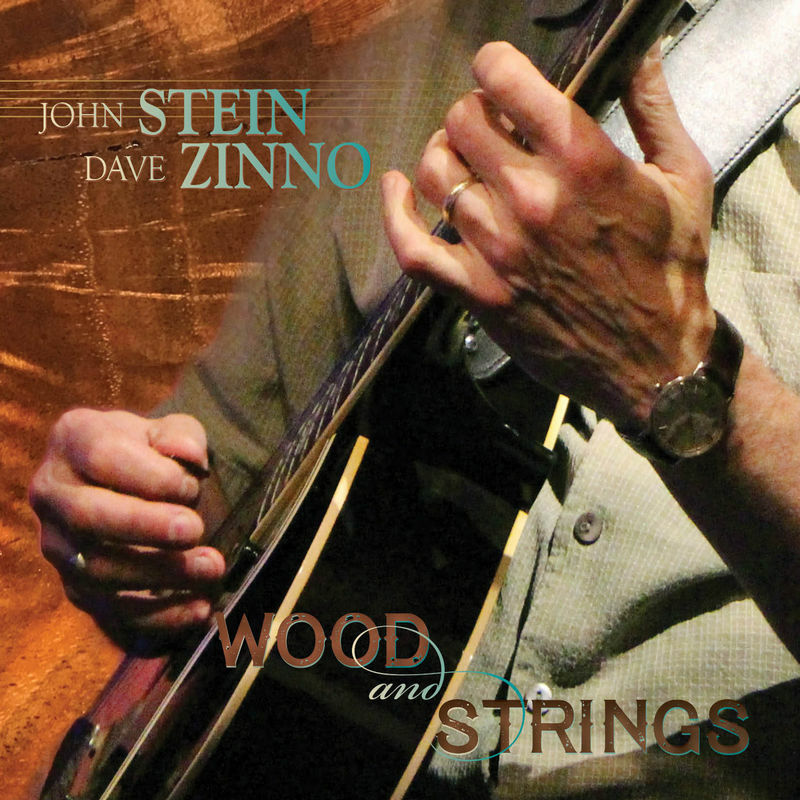 John Stein and Dave Zinno’s Wood and Strings shines an intimate light on the simple joys of collaboration. The duo brings with it two lifetimes of musical experience and the awesome ability to explore, find, and cultivate personal and musical ground together. 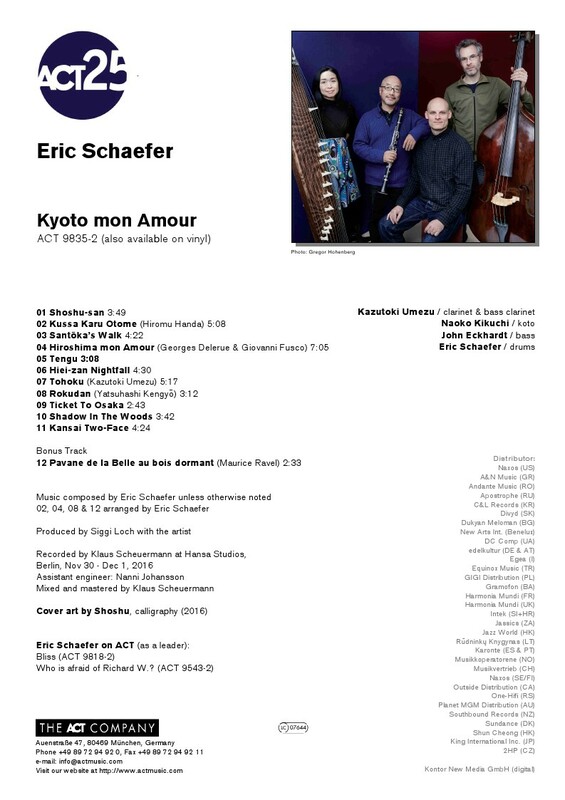 If there is an essential quality to this collection, it’s that Stein, through his compositions, arrangements, and performances, has created the environment in which he and Zinno can play in the moment while creating something of timeless beauty. 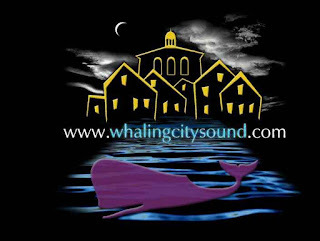 As the Whaling City Sound label’s newest worthwhile collection, Wood and Strings could not be recommended more highly. "Quel meilleur challenge que de se frotter aux trois grands poètes que sont Brel, Brassens et Ferré, en arrangeant leurs chansons à ma manière tout en respectant fidèlement les mélodies et les phrasés de ces trois monuments!? Mon enfance a été bercée de la musique de ces trois grands et du son de l'accordéon, ayant débuté ma vie musicale sur cet instrument. C'est donc tout naturellement que le choix des chansons s'est imposé à moi, ainsi que l'envie d'utiliser l'accordina sur certaines. En arrangeant cette musique réthorique pour un simple piano, le challenge est évidemment de chaque instant." Pianiste compositeur, Thierry Maillard est diplômé de l'École Normale de musique de Paris. Il y a étudié en classe de piano, d'accordéon, d'harmonie et de contrepoint. De formation classique, il découvrira rapidement le jazz et sa liberté d'expression, à la fin de ses études. 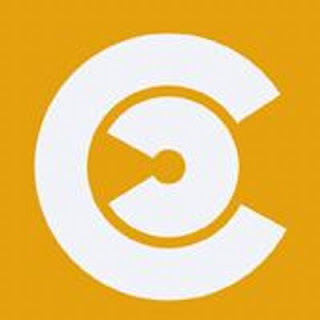 Dès lors, il dévoilera un nouveau genre musical empreint de son vécu, de ses rencontres, où se mêle harmonieusement écriture classique, jazz et musiques du monde. 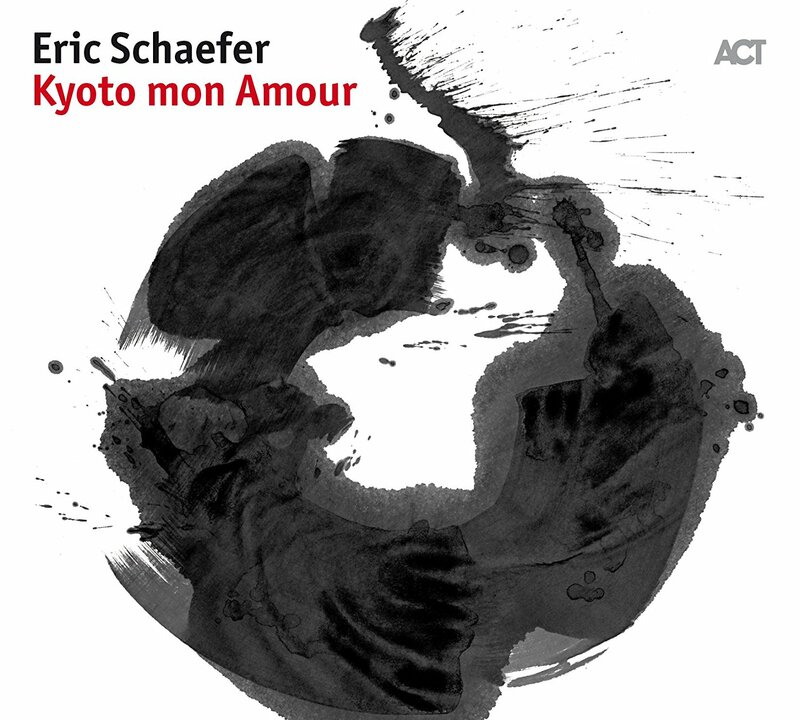 Compositeur et orchestrateur acharné, il a ainsi enregistré 12 albums en tant que leader. On le découvre pour la première fois en 1998, avec son premier album « Paris-New York » enregistré à New York, avec Dennis Chambers à la batterie et John Pattucci à la basse, sous le label Verve Emarcy. 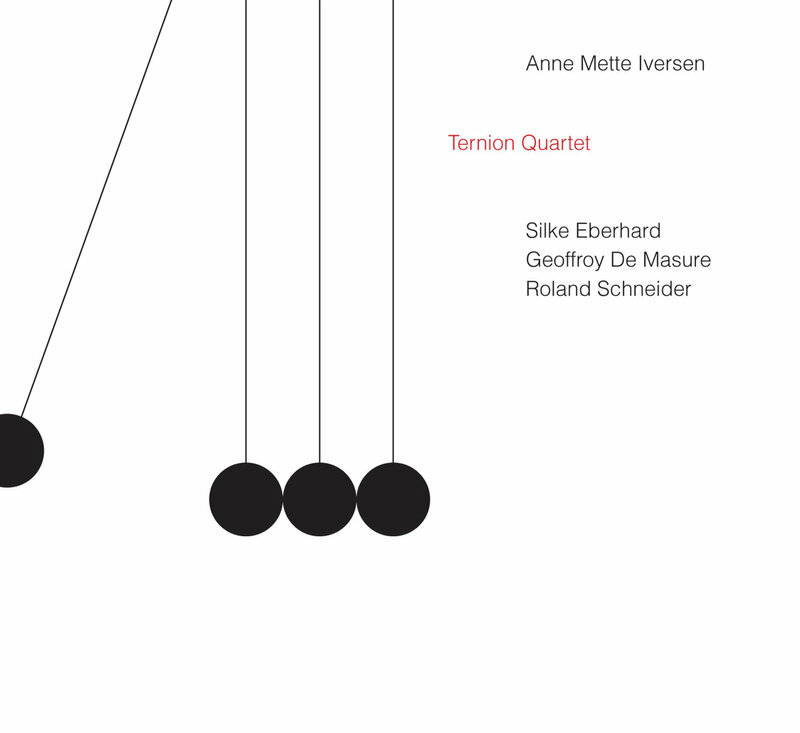 Son amour pour les cordes et l'orchestration, le conduiront naturellement à associer au jeu du trio jazz un quatuor à cordes, et ce à 3 reprises dans les albums « New septet », « Vision » et « Notre Histoire ». Il est alors évident pour Thierry qu'il faut poursuivre ses créations dans la voie de cette nouvelle expression musicale, le but ultime étant de collaborer avec un orchestre philharmonique au complet. C'est en 2014 qu'il se lance dans la première phase de ce projet. Il enregistre l'album « The Alchemist » avec un orchestre de chambre et de grands musiciens de musiques du monde. Encensé par la critique avec ce nouvel opus et fort de son succès sur scène, Thierry Maillard décide de mener l'aventure à son apogée. En 2015, la signature sous le label « naÏve » met le point de départ à la finalisation du projet. 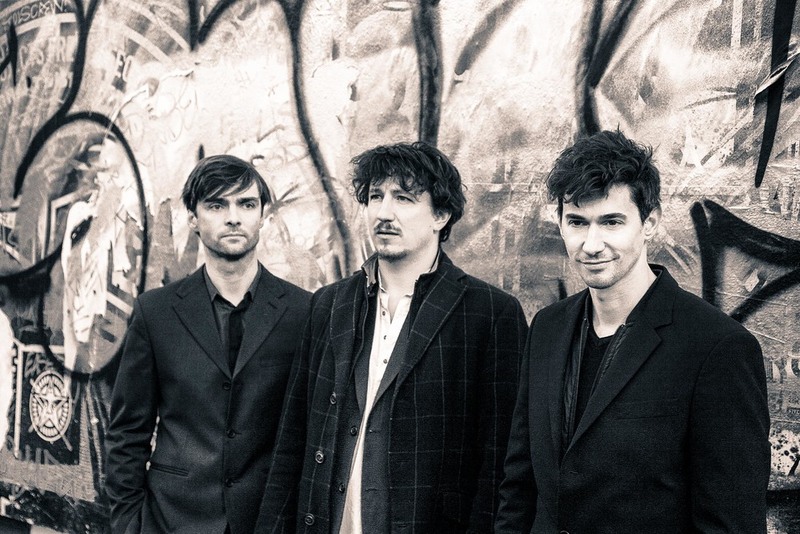 En Janvier 2015, enregistrement studio du trio jazz et des invités tels que Nguyên Lê, Didier Malherbe, Minino Garay, puis enregistrement en Tchéquie avec l'Orchestre Philharmonique de Prague sous la direction de Jan Kucera. Originally the meaning of 'round trip' was to return to the starting point via a different road. When I wrote the tune 'Round Trip', it was about a deep and heartfelt wish I had- to return to my two sons, who I had left in another country for a few days. As this album and this music came about, 'round trip' then became a key idea for the album. Round trip, in the sense of coming home, describes the feeling I have every time I play with this group. It refers to the many (round) trips we have taken together over the years, but also how much we have grown as a band, musicians and persons, and how we, no matter where each one of us is placed in the world, get together to make music and share our experiences. Even on a personal level I see the many round trips in our journey through life and music. 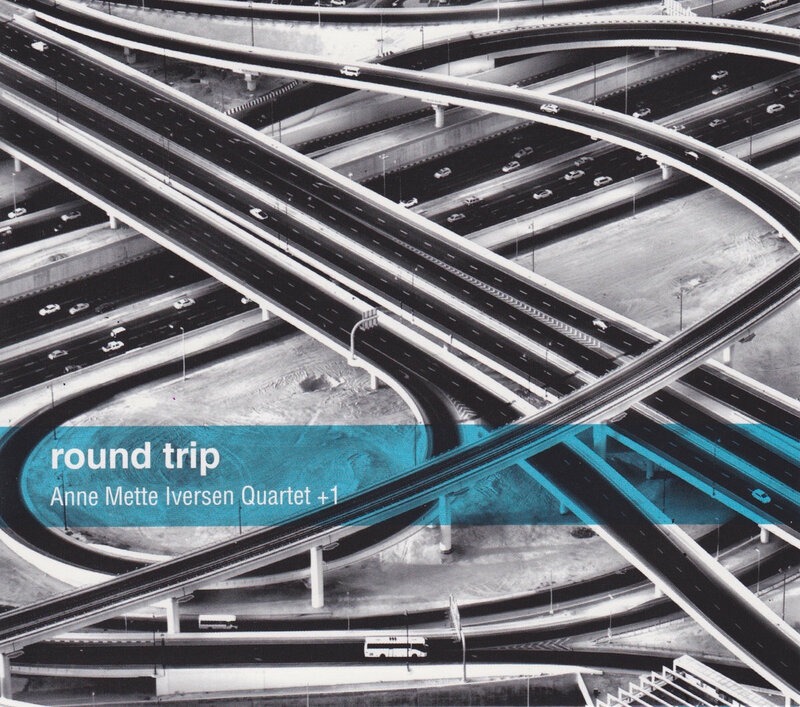 So without further a due: Take a *Round Trip' with us. 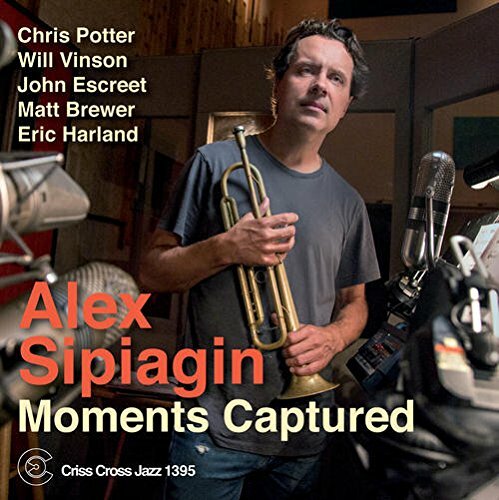 Moments Captured is trumpeter Alex Sipiagin's third Criss Cross date to feature a three-horn lineup, after Equilibrium (Criss 1257) in 2004 and Destinations Unknown (Criss 1336) in 2011. While the earlier discs featured David Binney on alto, here it is the fiery Will Vinson displaying his prodigious talents alongside the leader and master tenorist Chris Potter. Rounding out the lineup on this exploratory all-original session are the players from Sipiagin's 2015 album Balance 38-58 (Criss 1378): John Escreet on piano and keyboards, Matt Brewer on bass, and Eric Harland on drums. The intricate, polyphonic aspect of Sipiagin's writing continues to flower and grow, but it is Escreet's extensive use of the Prophet 6 synthesizer that marks this album's biggest departure. Wringing a seemingly limitless array of tonal colors from the instrument, Escreet gives Sipiagin's music a refreshing and wholly unpredictable edge. 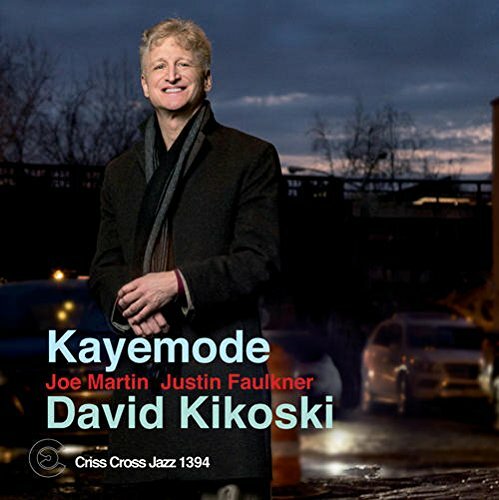 Since his first appearance on record (Randy Brecker's album In the Idiom), pianist David Kikoski has demonstrated an infinite capacity to swing, a rare sensitivity as a ballad interpreter and genuine harmonic savvy as a composer. He delivers once again on all counts on Kayemode. 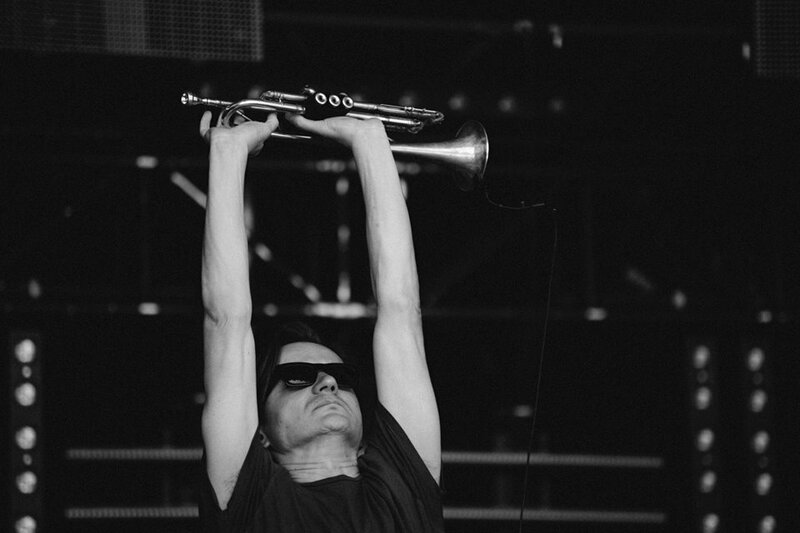 "I'm very proud and lucky to have 2 new collaborators in my trio. I met Justin Faulkner on a Monday night at "the Jazz Standard" where I play with the Charles Mingus Big Band and was very impressed. 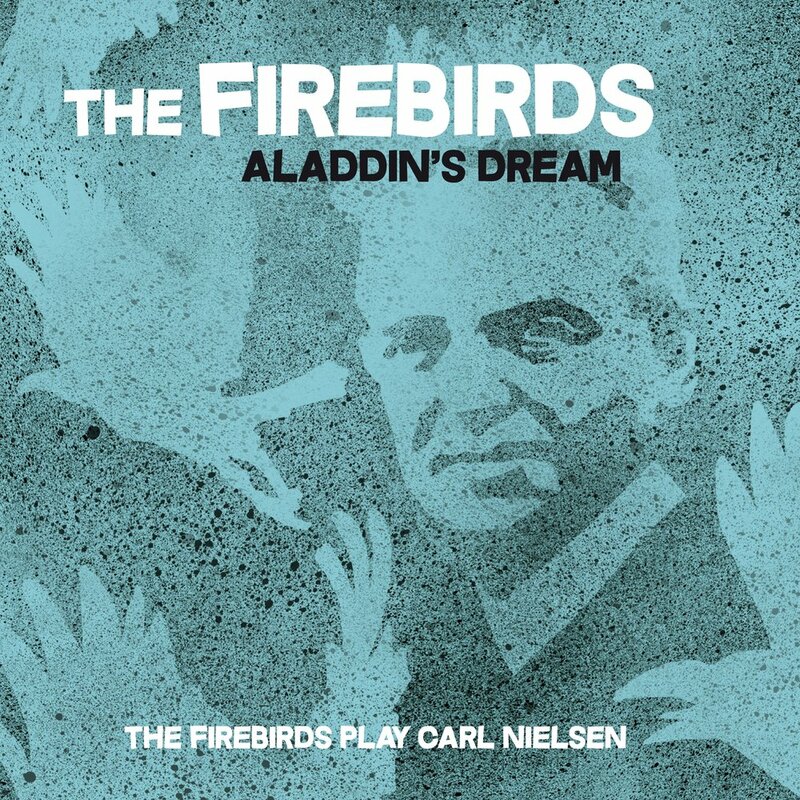 Soon after we really hooked up on a gig with Branford Marsalis and I remember thinking I would love to try and use him on my own project. We had a ball hanging at my house and shedding and listening to music. Joe Martin was someone we both agreed on to be the perfect bassist for the session. 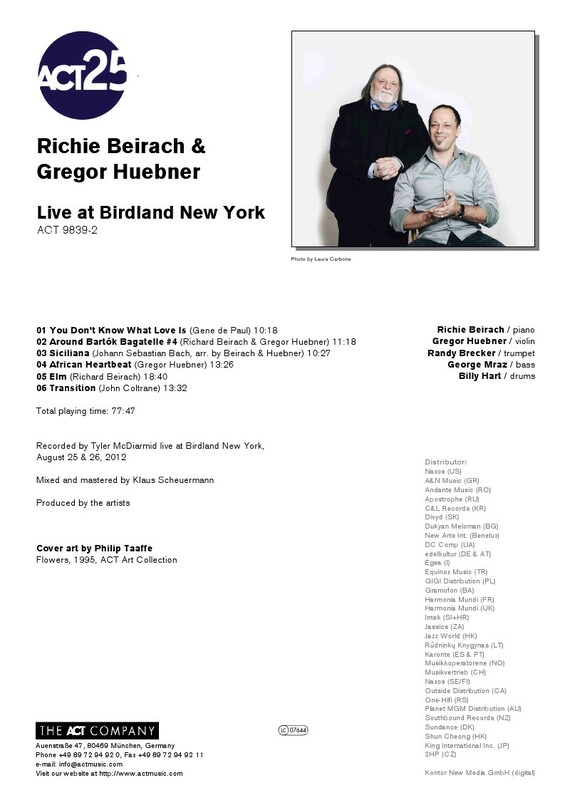 I recently heard him at "Mezzrow" with Spike Wilner and was blown away. His use of harmony and counterpoint is more advanced than most bass players I've known. I knew he could get inside of my concept. We are using 1st or 2nd takes with no fixing or editing, because I wanted the freshness and honesty to be there". This is the debut album as a leader by Polish Jazz trumpeter / composer Lukasz Korybalski, known primarily for his work as composer of cinematic music. This album presents the music Korybalski wrote for the film "Cale Mnostwo Milosci" (hence CMM), performed by a quintet which features the leader on trumpet and also includes saxophonist Borys Janczarski, pianist Michal Tokaj, bassist Andrzej Swies and drummer Lukasz Zyta; a most formidable team. 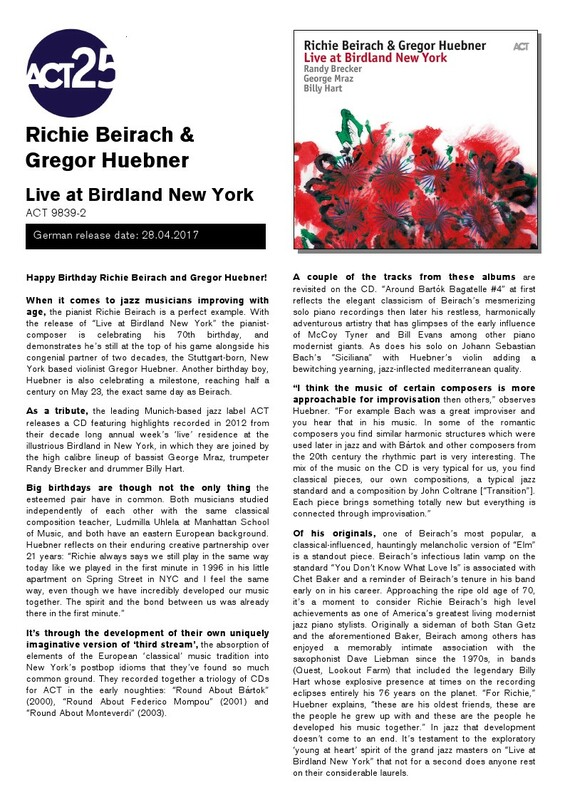 Saxophone icon Zbigniew Namyslowski and percussionist Bogusz Wekka guest on one tune each. 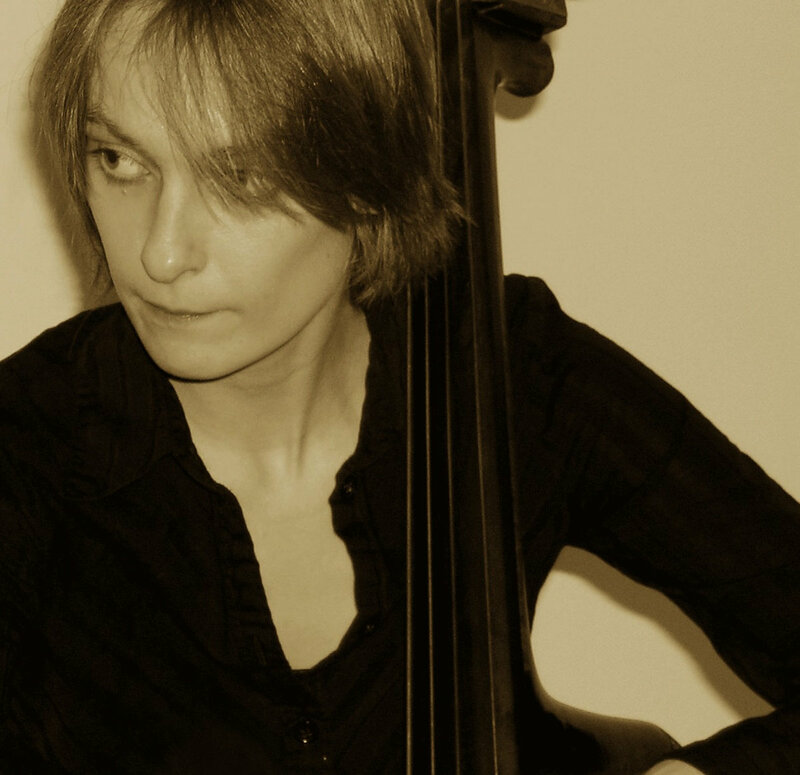 The album presents six original compositions, all by Korybalski. 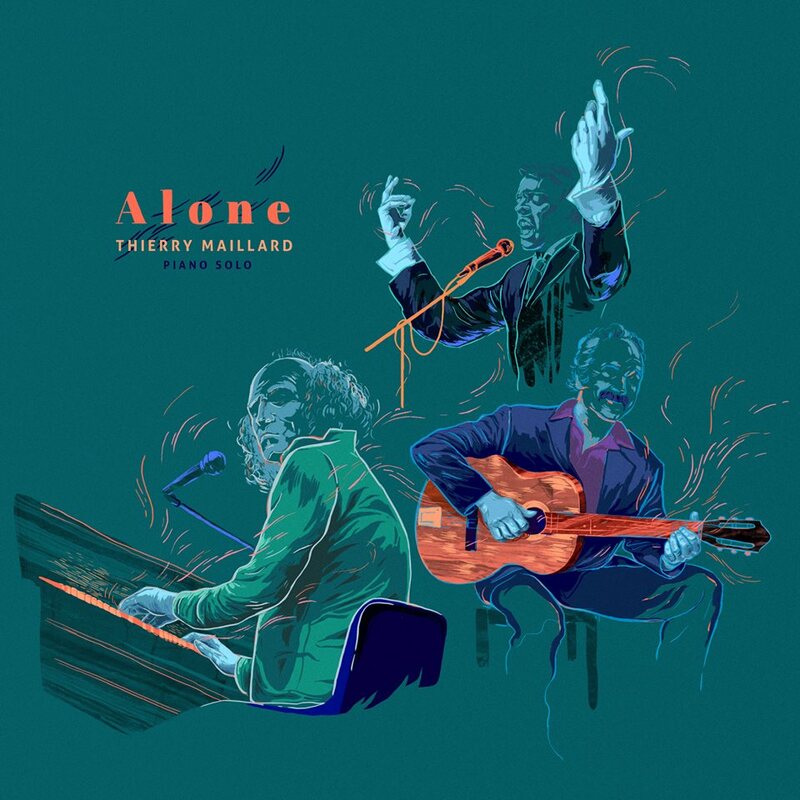 The music is absolutely stunning from start to finish, typical melancholic Polish Jazz very closely reminiscent of early cinematic music by Krzysztof Komeda, with the same melodic hooks one just can´t stop humming after the music is over. The similarity is so close, that if I didn´t know what album is playing, I´d suspect that a newly discovered Komeda album is on. This is not only reflected by the music, the melodic approach and the harmonic progressions, but also by the way the quintet performs the music, which has a tinge of wonderful "out fashioned" nostalgia to it. 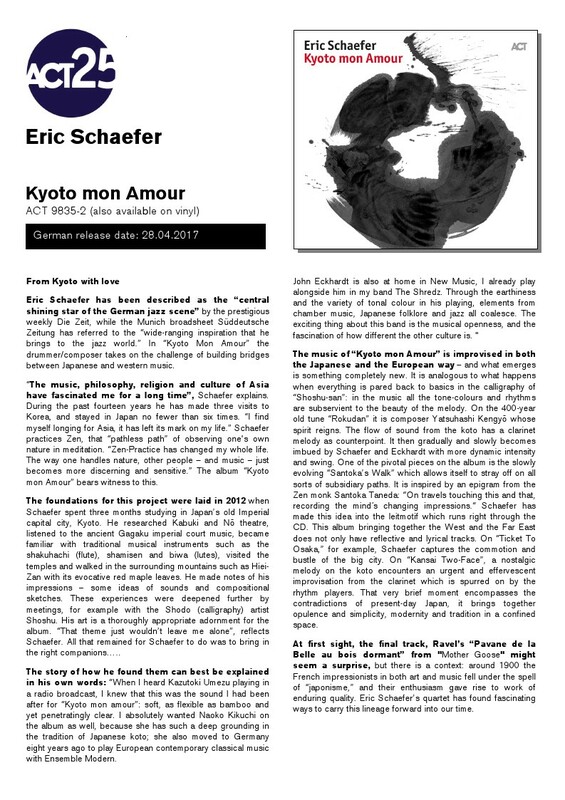 Even the one relatively "free" composition on the album is spiritually almost identical to Komeda´s famous composition "Astigmatic". The instrumental performances are all top notch. 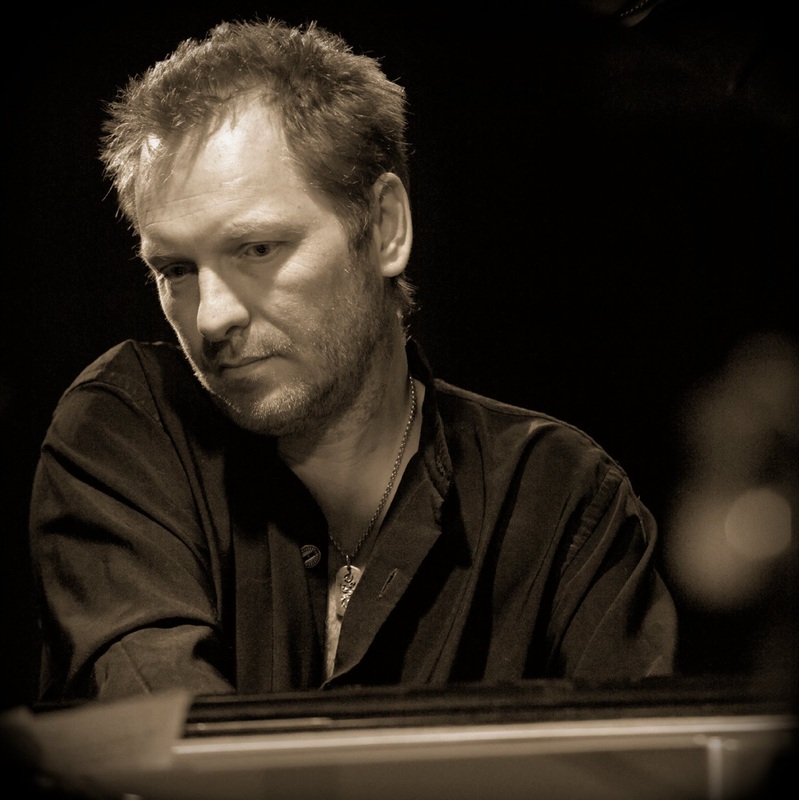 Korybalski displays some Miles Davis modal influences, all being in the most elegant form, Janczarski has a warm and smooth tone and Tokaj, one of Poland´s best pianists, sadly relatively rarely heard on albums, is a dream. The superb rhythm section cements the lineup with amicable support for the soloists and wonderful drive. Albums like this one are a persuasive proof that contemporary melodic mainstream can be intelligent, creative, fascinating and aesthetically fulfilling. It simply has something that sets it apart from thousands of other mainstream albums, firmly standing in a class of its own. 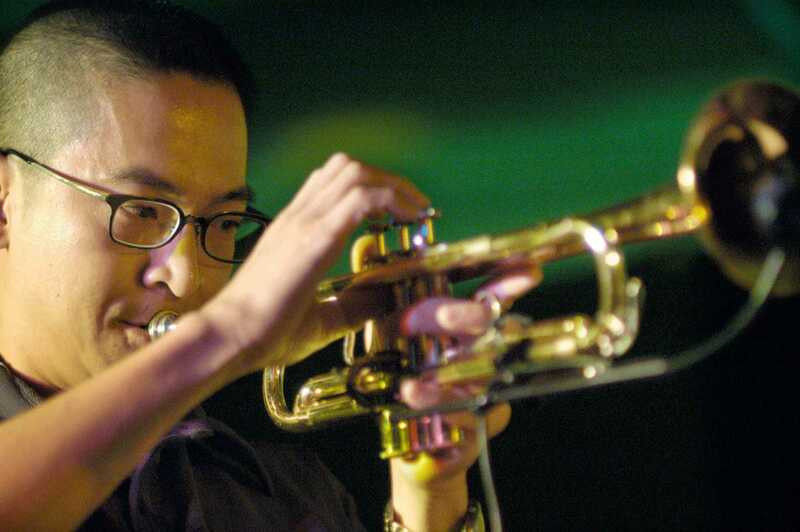 It also shows why European Jazz left the American Jazz in a fifty years slumber. Overall this is one of the best Polish Jazz albums that I have had the pleasure to listen to in many years. It is perfect in every way, it bridges the tradition with contemporary ideas, it pays tribute to its cultural background and sources; in short it is it! Absolutely not to be missed! 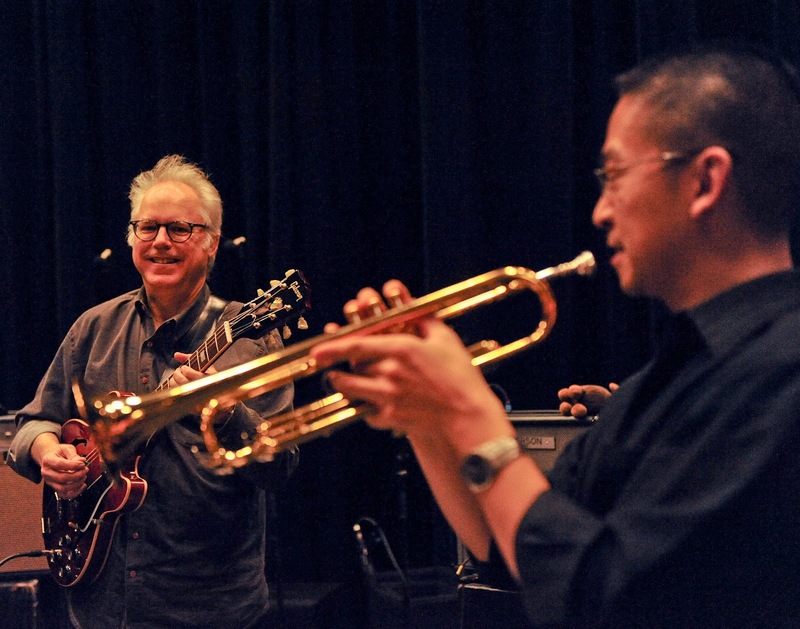 On the heels of his acclaimed 2016 recording, Cuong Vu Trio Meets Pat Metheny (Nonesuch Records), and his 2014 collaboration with electro-acoustic pianist-composer and Director of the School of Music at the University of Washington Richard Karpen on their Ellington-Strayhorn tribute That The Days Go By And Never Come Again (RareNoiseRecords), trumpeter-composer Cuong Vu joins forces with guest guitarist Bill Frisell on Ballet, a tribute to renowned composer-arranger Michael Gibbs. 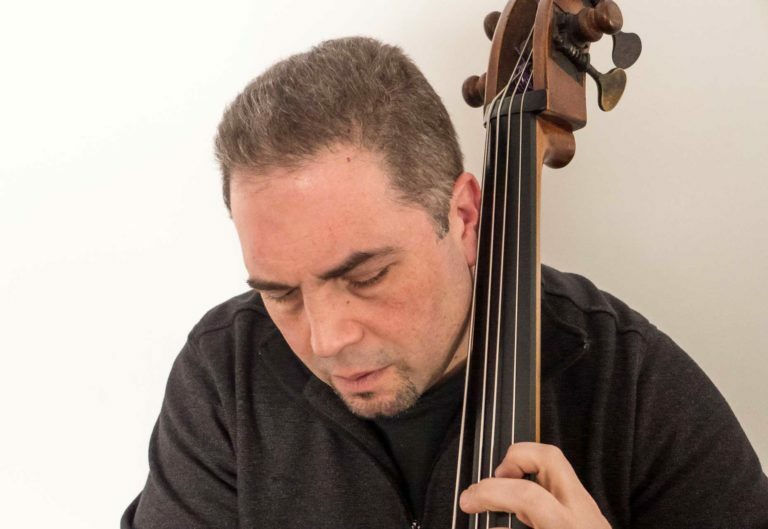 With regular Vu 4Tet bassist Luke Bergman and drummer Ted Poor, the four exchange ideas in the moment in a collective fashion on the expansive opening track, “Ballet,” which gradually morphs into a kind of quirky, dissonant blues waltz featuring brilliant solos from Vu and Frisell. 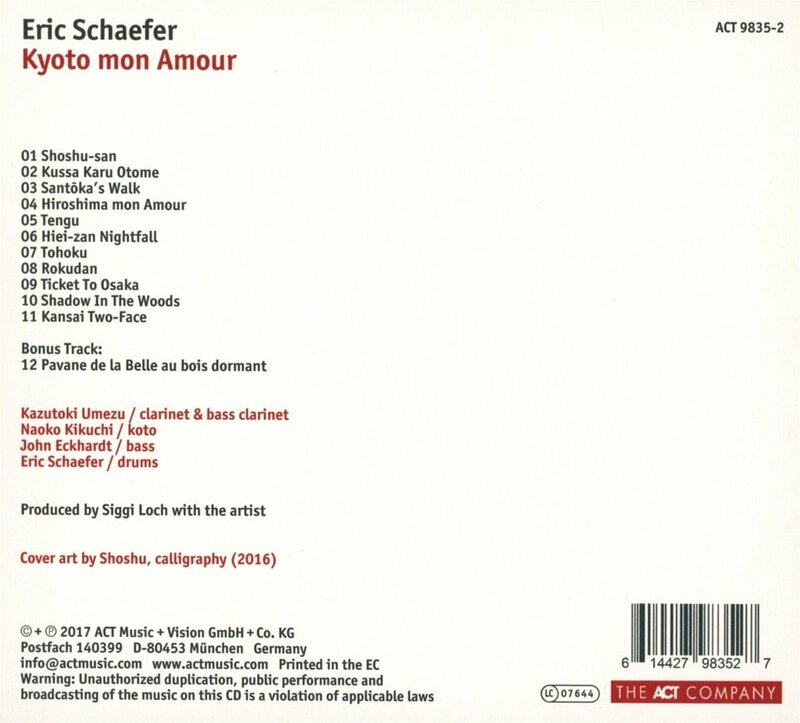 The ethereal ballad “Feelings and Things” showcases Frisell’s more sensitive and spacious side while Vu turns in a remarkably lyrical solo here. 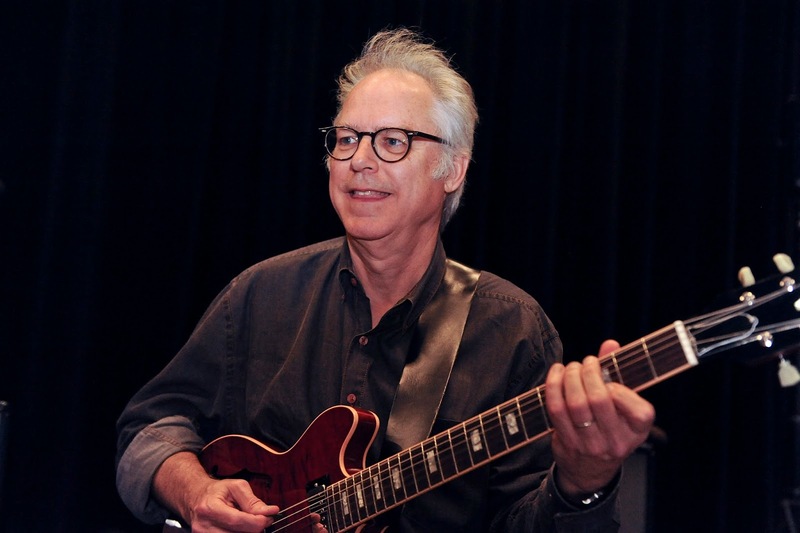 “Blue Comedy,” a tune recorded by the Gary Burton Quartet (with Larry Coryell, Steve Swallow and Bob Moses) on 1968’s In Concert, kicks off with a drum salvo from Poor before Frisell and Vu join together on some tight unisons through the intricate head. 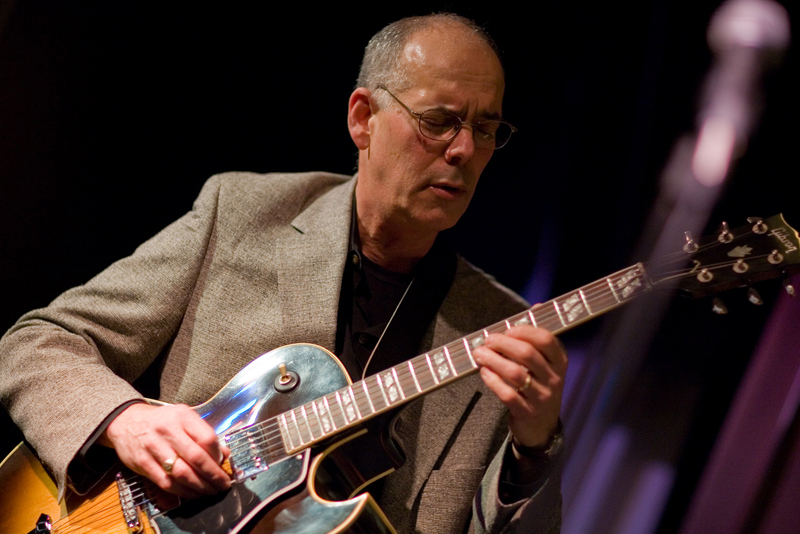 As the piece progresses, it picks up a kind of shuffle-swing momentum which Frisell solos over with his signature fractured phrasing and surprising detours. Vu and Poor engage in some spirited exchanges near the end of this jaunty number. The most dramatic piece on the album, “And on the Third Day,” which originally appeared on Gibbs’ 1970 self-titled debut album, evolves gradually from a peaceful opening drone to a turbulent crescendo featuring powerful. 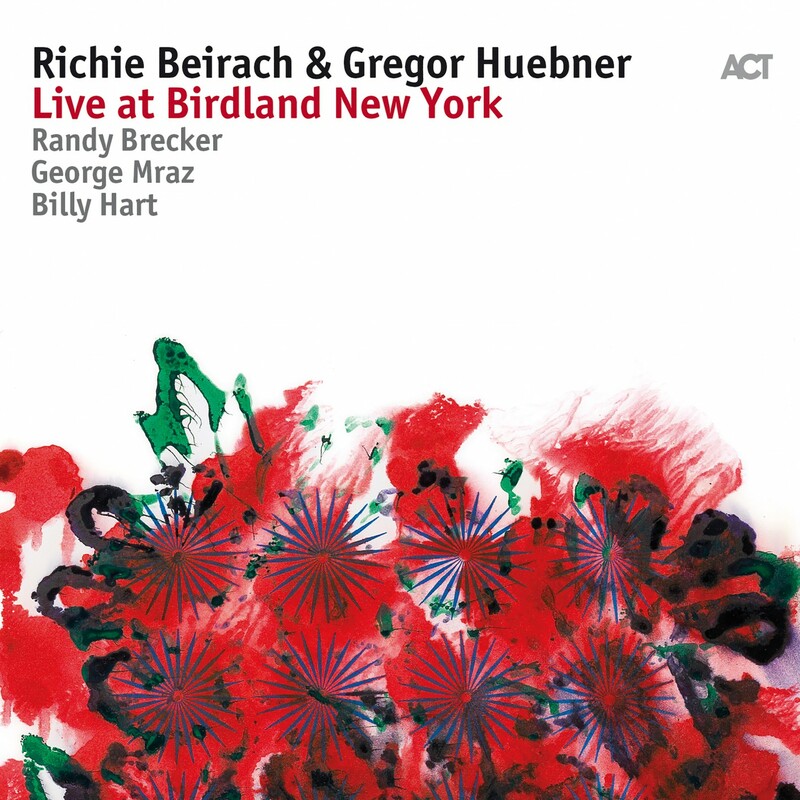 soaring solos from both Vu and Frisell, the latter power chording with impunity and kicking on his fuzz box and backwards pedal for maximum effect. 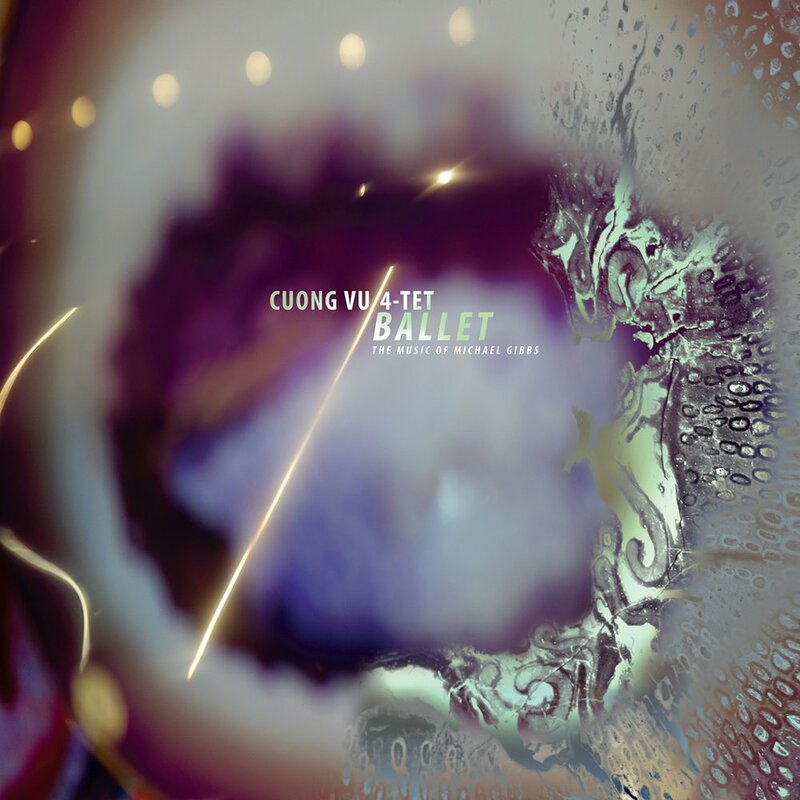 They succeed in triumphant fashion on Ballet, the second collaboration between Cuong Vu and Bill Frisell (their first was Vu’s 2005 ArtistShare album Mostly Residual).